2015 has been a fairly quiet year for Wild Cards Online, but finally we have some good news to pass on. First off, for those who don't already know, the mass-market paperback of LOWBALL - the second in the Jokertown triad - is now on sale and can be found at all good bookshops as well as on the US and UK Amazon sites. In addition, George RR Martin has kindly informed us that not only is he in final negotiations with Tor for three new Wild Cards originals, but there's also another Wild Cards e-Short on the way. 'Discards' is by David D. Levine, and will be an origin story for his Brazilian ace, The Recycler. Naturally, we'll post the link the moment Tor puts it on their site. Tor has just uploaded a fifth Wild Cards e-short on its website, the intriguingly titled 'Prompt. Professional. Pop!' by Walter Jon Williams. This time the star of the show is Pop Tart (last seen on the the AMERICAN HERO show in INSIDE STRAIGHT) as she takes on Hollywood. As can be seen on the left, art duties have once again fallen to the great John Picacio. On a side note, over the past few months we've added a whole slew of new artwork to the Miscellaneous page, including some nice new Russian covers (covering volumes 1-7), some new Brazilian & Spanish covers from Marc Simonetti (volumes 1-6), and some interesting new Italian covers (volumes 1-9). Tor has just posted a fourth Wild Cards e-short on its website. 'Nuestra Senora de la Esperanza' is by Carrie Vaughn and this time the focus is on Ana Cortez, AKA Earth Witch. As usual, the awesome cover art is provided by John Picacio. Read it here. 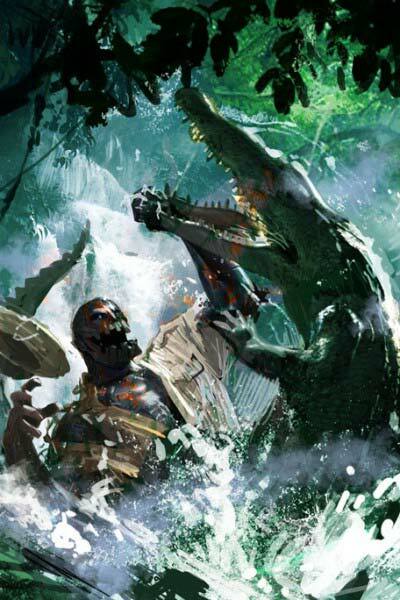 The Spanish-language Oceano site has uploaded Michael Komarck's stunning new cover for the soon-to-be-released, updated ACES ABROAD - and this time the focus is on Troll as he takes a few holiday snaps. Click on the thumbnail for a larger version. Meanwhile, Random House have commissioned an impressive thirty-second trailer to promote the new German-language version of 'Inside Straight,' which is due for release in August 2014. The trailer - which features The Amazing Bubbles, Lohengrin and Drummer Boy - can be viewed on YouTube. 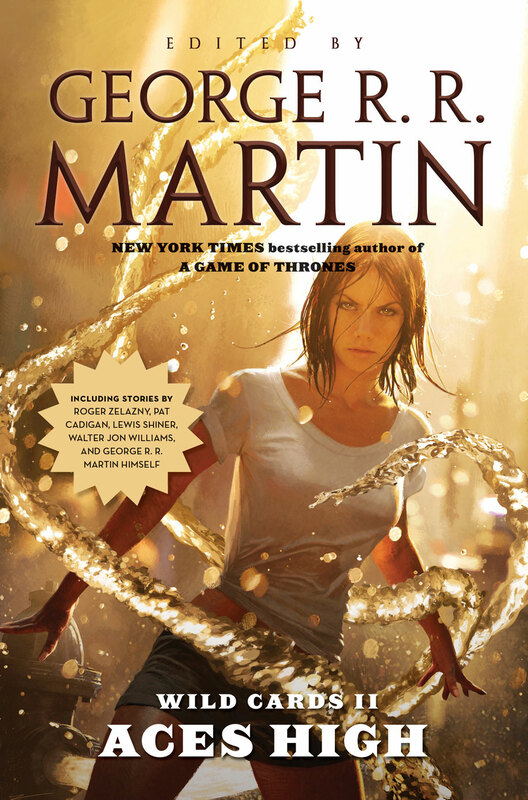 As George RR Martin fans will probably already know, a new anthology DANGEROUS WOMEN - edited by George and Gardner Dozois - was released back in December of 2013. Of particular interest to this site, however, is the fact that one of the stories, a novella called LIES MY MOTHER TOLD ME by Caroline Spector, actually takes place in the Wild Cards universe and focuses on The Amazing Bubbles and Voodoo Mama. The book is currently available everywhere and can also be picked up from the US and UK Amazon sites. 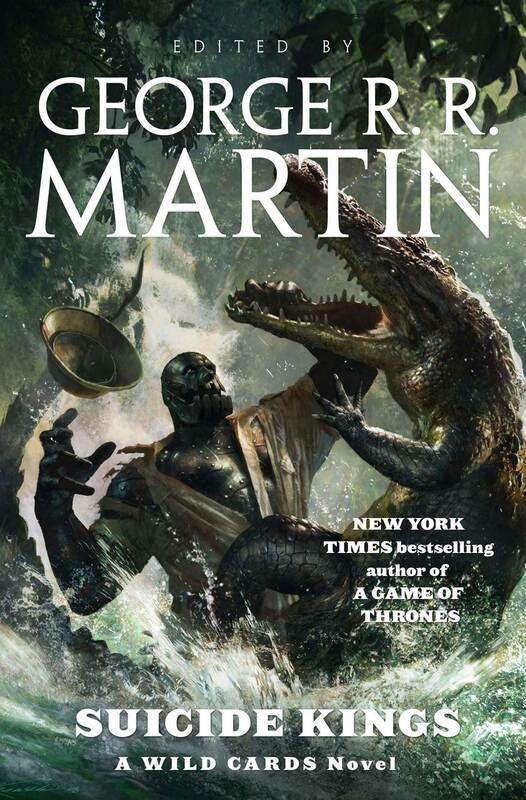 George RR Martin has recently uploaded an excerpt from the upcoming Wild Cards volume, LOWBALL. It's a sample from David Anthony Durham's story, 'Those About To Die,' featuring the Infamous Black Tongue, and you can read it here. On his blog, George confirms that the book is still due for release this coming summer and as you can see on the left, Michael Komarck has once again supplied another wonderful cover, this time featuring the Black Tongue. George also adds that the Wild Cards consortium are currently hard at work on the twenty-third volume, HIGH STAKES. 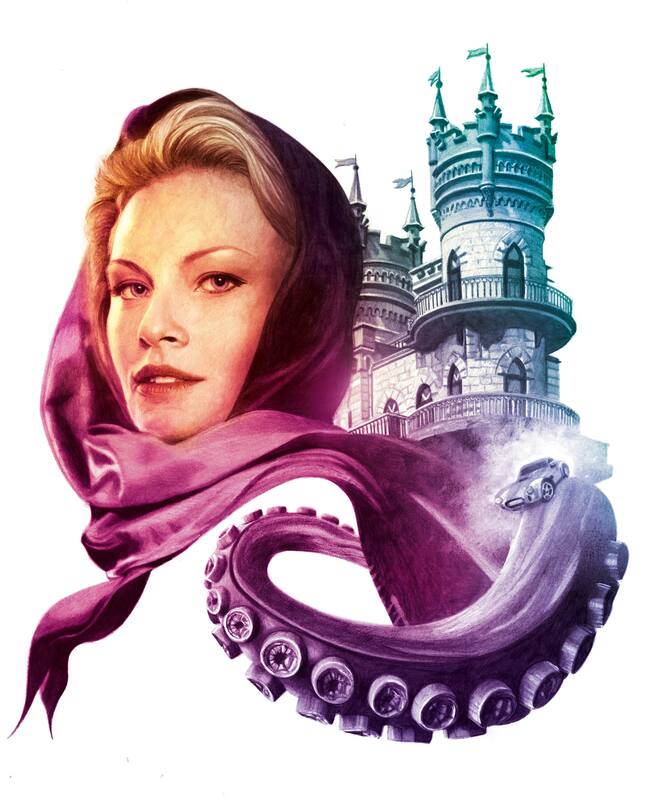 On a side note, a number of new images have been added to this site's Miscellaneous page, including another Russian cover by D. Borozdina (featuring a sombre Fortunato), the cover to the second Brazilian Wild Cards volume by Marc Simonetti (featuring The Turtle), as well as a few other odds and ends. Those who check out the Miscellaneous page will find new images for the UK Wild Cards editions as well as covers for the rereleased Italian versions. There's also a brand new Brazilian Wild Cards blogsite that's worth checking out. Naturally, those who speak Portuguese will likely get more out of it than we English-speakers, but there's a fascinating 15-minute video on there titled 'Making of the Cover Art by Marc Simonetti' that's definitely worth a look. Tor has posted another brand new Wild Cards short on its website. 'The Elephant In The Room' is by Paul Cornell and features Abigail the Understudy, Elephant Girl, and best of all, Croyd 'The Sleeper' Crenson. Once again, cover art is provided by John Picacio. Check it out here. A second brand new eBook format short story is now available to read on the Tor website. Written by Cherie Priest, 'The Button Man and The Murder Tree' is an origin story for the character last seen in Fort Freak. The manuscript for 'Lowball', the 22nd Wild Cards volume, has been delivered to Tor and will likely be released in the summer of 2014. Chapter titles and featured characters can be found on George RR Martin's blog post here. Also, JOKERS WILD is now set for a trade paperback release in February 2014. As can be seen on the left, Michael Komarck has delivered another stunning cover, this time featuring Wraith. LeYa, the Brazilian publisher of the Wild Cards, has also commissioned Marc Simonetti to paint new covers for their first three volumes, and the first one (featuring Golden Boy) can be found on our Miscellaneous page. In addition, the first three volumes have been reissued in Russia, with new covers by D. Borozdina. George very kindly sent along scans which are now up on the same page. 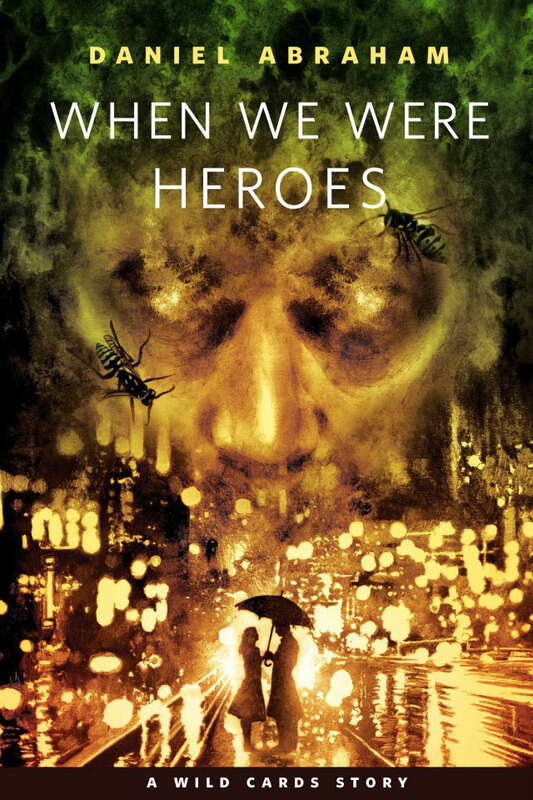 Daniel Abraham has written a new Wild Cards story called 'When We Were Heroes', starring Curveball and Bugsy. It's currently only available in eBook format and can be read or downloaded at the Tor website here. As can be seen on the left, it's also got a great cover by John Picacio (click on the image for a larger version). On George RR Martin's blog, he says this is planned as the first in a series of online originals which might then all get collected in book format further down the line. 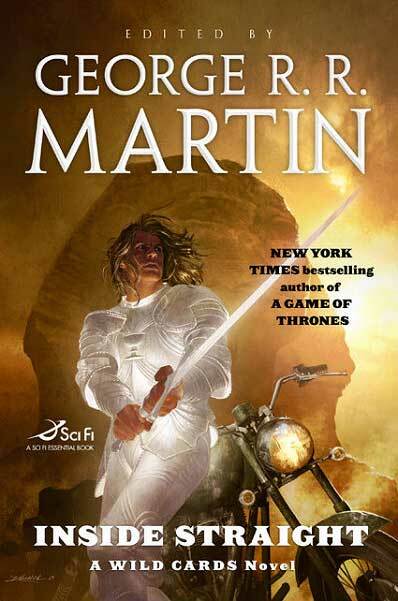 According to George RR Martin's blog, the editing of the latest Wild Cards installment, LOWBALL, is close to being finished and the manuscript will shortly be submitted to Tor. Interestingly, George says this volume will count as the second part of the curent triad, of which FORT FREAK was the first. He also states that contracts have already been signed for the concluding volume, a full-on mosaic novel to be titled HIGH STAKES. In other news, Tor will continue issuing new trade paperback versions of the earlier volumes all the way up to DEAD MAN'S HAND (and possibly beyond). Similar to the reissue of WILD CARDS volume one, three additional new stories will be included for ACES ABROAD. On the international front, Gollancz/Orion have agreed to publish British editions of the first three volumes, as well as INSIDE STRAIGHT, BUSTED FLUSH, SUICIDE KINGS, FORT FREAK and LOWBALL. In addition, contracts have been signed with J'ai Lu for French translations of the first six volumes. George also hints that additional foreign deals are currently being negotiated. As previously reported, the second Wild Cards volume, ACES HIGH, will be reissued by Tor five days before Christmas on 20th December and can be pre-ordered from Amazon. Once again, the stories are presented under a glorious cover by Michael Komarck. The cover star this time is Water Lily. Click on the thumbnail for a larger version. Also coming soon are CD audiobook versions of the first two volumes. Published by Brilliance Audio, they are totally unabridged, come with newly designed covers and are read by Luke Daniels. The first book is released on November 8, consists of 16 CDs and lasts 19 hours. You can order it here. The second volume will be released on December 20 and will comprise 13 CDs lasting 15 hours. This one can be pre-ordered from Amazon. Perhaps more importantly for the long-term fan, however, is the news reported on George's blog that movie and television rights to the series have been optioned by SyFy Films, a new joint venture of Universal Pictures and the SyFy Channel. The plan is for a theatrically released feature film first, with more features and/or a TV series to follow if successful. Co-creators George RR Martin and Melinda Snodgrass will act as executive producers, while Melinda is writing the first screenplay draft. Best news of all? There's a link within the blog that takes you to the trade article in The Hollywood Reporter, wherein George mentions that The Sleeper will be part of the roll call. As all true Wild Cards fans must know by now, the 21st Wild Cards volume, FORT FREAK, is currently on sale and GRRM kindly sent along a high-res version of the new cover artwork by Michael Komarck. As usual, click on the image to see it in its full glory. You can also order it from Amazon. As a taster, one of the stories, Melinda Snodgrass's 'The Rook', is currently available to read on the Tor website, while George has posted a second sample - Cherie Priest's 'The Rat Race' - on his own website. GRRM also hints on his blog that he's working on the plotline for the next Wild Cards instalment, to be called LOWBALL. In other news, DEATH DRAWS FIVE is finally back in print for those of us who prefer reading their stories on actual paper. Don't believe us? Check it out here. Brick Tower Press, who acquired most of iBooks' assets after they went bankrupt, has released it this time in a trade paperback edition. And with the first volume back on sale again too, Tor is letting you read Carrie Vaughn's 'Ghost Girl Takes Manhattan,' one of the three brand-new stories written specially for this edition. And on the same subject, Amazon is currently listing the second volume, ACES HIGH, as coming out on December 20, 2011. GRRM has mentioned on his site that this (and the third volume, to be rereleased mid-2012) will not contain any new stories. Finally, it seems there's at last a way to buy the ridiculously rare (only 600 published copies, apparently) Death Draws Five without taking out a bank loan. Amazon have been selling a Kindle version of the book for a while now, but there was always a glitch that prevented it from opening properly. From reading the more recent customer reviews, it appears Amazon have now rectified the problem - although one customer does report that there are a few transcription errors to go alongside the original proofreading mistakes. But if you can get past that, you'll be rewarded with a great, almost retro, addition to the Wild Cards series. Special thanks to Denny for the update (who also says he's tried the book on the Mac version of Kindle and that it works just fine). Those who are interested can buy the book here. And those who want to download the free Kindle software for their PC or Mac can do so here. 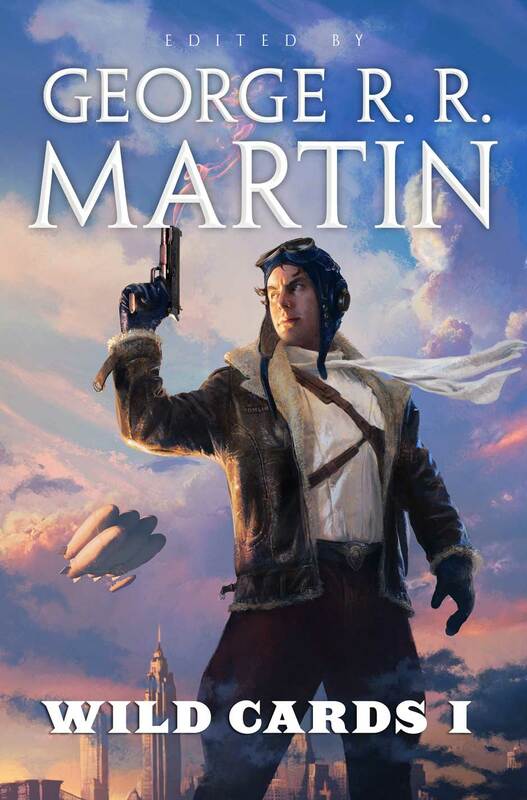 George RR Martin has kindly sent along a rough of the new cover to the reissued first volume, featuring an iconic image of Jetboy by artist, Michael Komarck. Click on the thumbnail for a larger version. 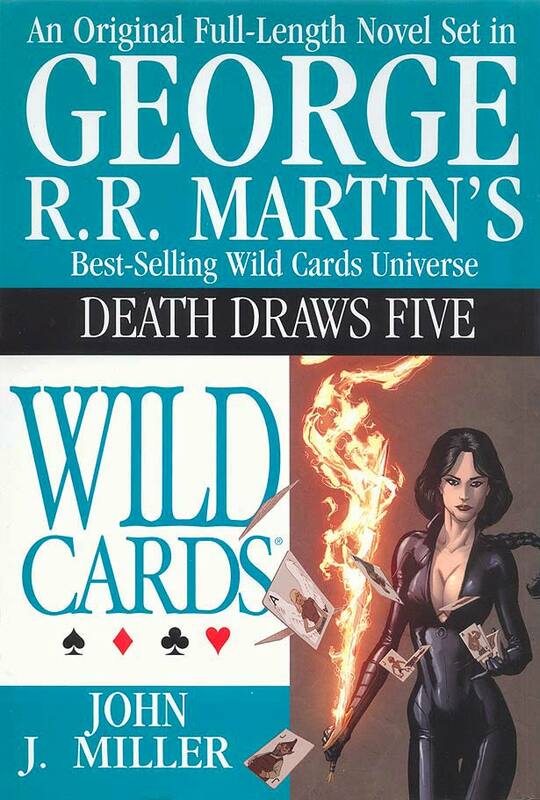 George RR Martin has sent us news that Tor has scheduled the reissue of Wild Cards volume one this coming November. It will be an expanded edition with new stories by Michael Cassutt, David D. Levine and Carrie Vaughn. According to his 'Not a Blog' site, George RR Martin has just sent the 600 page manuscript of the next Wild Cards instalment, FORT FREAK, to Tor for eventual publication in 2011. This 21st volume in the series, which concerns itself with the lives of cops and crooks of the Jokertown precinct in NYC, will features stories by Melinda Snodgrass, John Jos. Miller, Stephen Leigh, Kevin Andrew Murphy, Victor Milan, along with a few newcomers to the series. More details can be found on George's site here, along with the welcome news that Croyd Crenson will be appearing in some capacity. Daniel is currently a guest blogger on Tor.com, talking about his experiences with Wild Cards and other collaborations. George RR Martin has sent us news that the Tor hardcover edition of Suicide Kings will be out on December 22, just in time for Christmas. 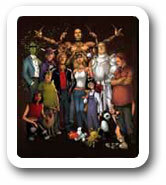 In the tradition of previous volumes, this third and final instalment in the 'Committee' triad is a full mosaic novel featuring six protagonists (Rustbelt, Bubbles, Double Helix, The Radical, Gardener and Jonathan Hive) with six contributing authors (Ian Tregillis, Caroline Spector, Melinda Snodgrass, Victor Milan, SL Farrell and Daniel Abraham). Click on the image to see the final version of the superb new cover art by Michael Komarck. Clicking here will take you to George's blog which introduces five new writers to the Wild Cards consortium, along with strong hints that more Wild Cards volumes may grace our bookshelves in the not too distant future once the Committee triad has been wrapped up. Also, it seems the signing in March went very well with a large and enthusiastic turnout. From L to R, the photo on the left shows you (back row) Victor Milan, Daniel Abraham, Walton (Bud) Simons, Ian Tregillis, John Jos. 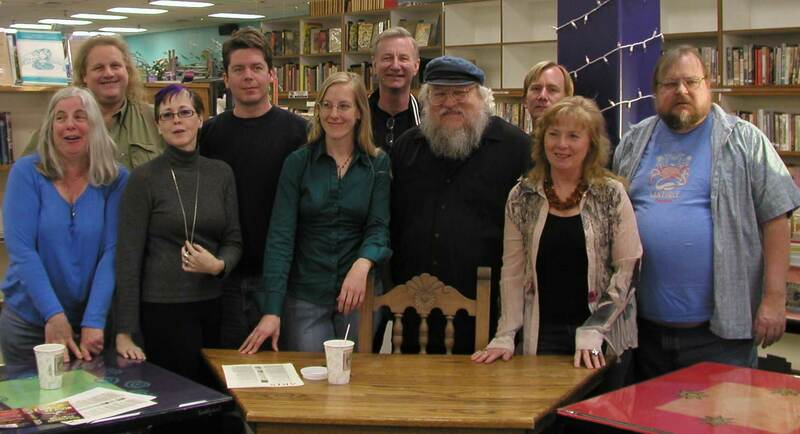 Miller, (front row) Gail Gerstner Miller, Caroline Spector, Carrie Vaughn, George RR Martin and Melinda M Snodgrass. According to George's website, the final volume in the 'Committee' arc has been completed and delivered to the publisher for publication either later this year or early 2010. This will be the mosaic instalment familiar to Wild Cards readers with six protagonists taking the reader through a continuous narrative. Apparently old faves such as Popinjay, Cameo and Dr Finn will have a part to play in the proceedings. Click on the pic to view a slightly larger image of the new cover. Art is by Michael Kormarck once more. Green Ronin is currently printing the new RPG follow up to 'Mutants & Masterminds' which includes four ready-to-play' scenarios. But for those who simply can't wait, a PDF is already available for purchase at their online store. George has sent us news that Page One Bookstore in Alberquerque, New Mexico has scheduled a book signing for BUSTED FLUSH on Saturday 7th March from 4-6pm. 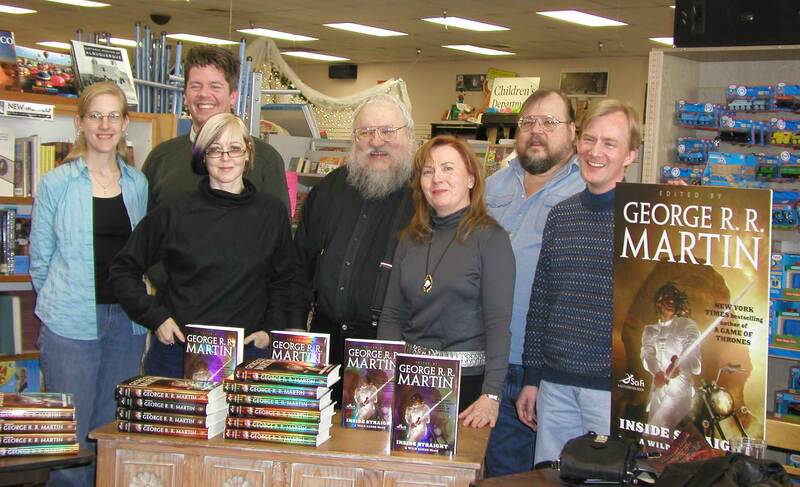 Authors present will include: George RR Martin, Melinda M Snodgrass, Ian Tregellis, John Jos. Miller, Caroline Spector, Walton (Bud) Simons, Carrie Vaughn and Victor Milan. So get down there if you're able. Pat over at the Fantasy Hotlist has nabbed two advance reading copies of Busted Flush and is giving fans an opportunity to win one of them in a draw. There doesn't seem to be a closing date mentioned but you can find all the info on the site. Click on the pic to view a slightly larger image of the new cover - art is by Michael Kormarck. GRRM has kindly sent us PR material concerning the release of John Jos. 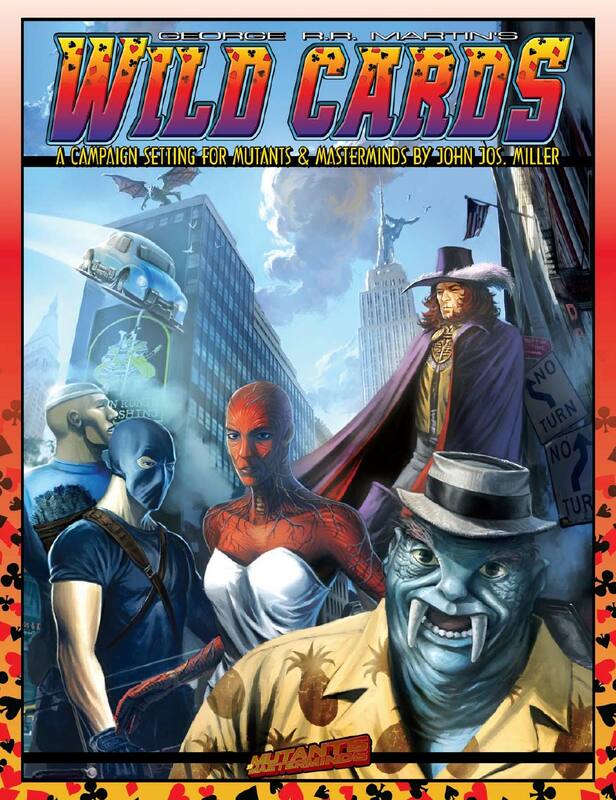 Miller's new Wild Cards role-playing book through Green Ronin Publishing. It's a 256 page full color hardback and is out now. You can order it at Amazon. The book includes a full history of the setting, profiles and illustrations of dozens of major characters, background information and rules on the Wild Card virus, and an introductory adventure. Green Ronin will be following the book up with two more Wild Cards titles. 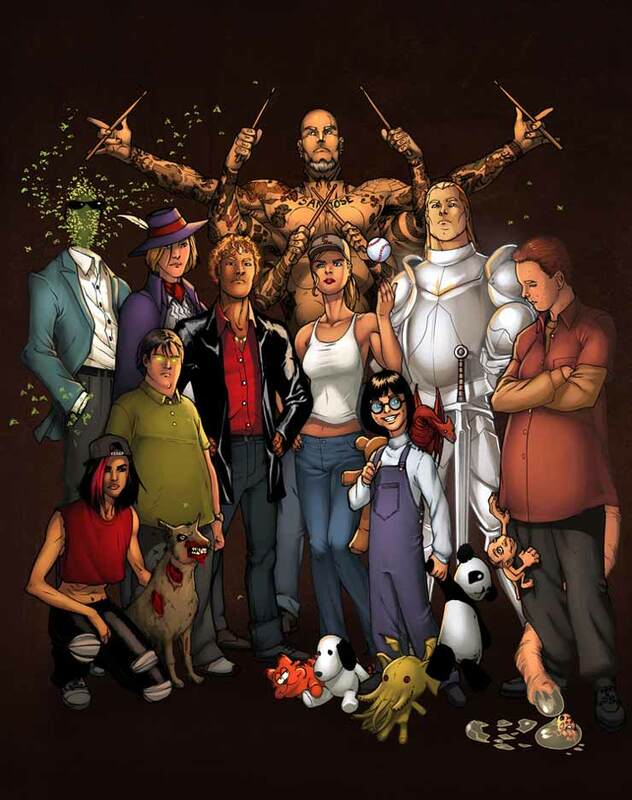 All-in, an adventure anthology, will be released in the Fall and Aces & Jokers, a collection of famous and infamous characters, will follow in the Spring of 2009. Check out the Miscellaneous page for an additional illustration from the book of Cap'n Trips by Tom Mandrake. We've finally added an overview of 'Inside Straight' to the 'Books' section, updated the 'Creators' page, and uploaded a bunch of artwork to the 'Miscellaneous' and 'Covers' sections. Check out Twerp Online for an hour-long audio history of the series and a review of the current book. The current podcast at Comic Geek Speak (episode 375) features Daniel Abraham talking about the Wild Cards books and his new comic series. 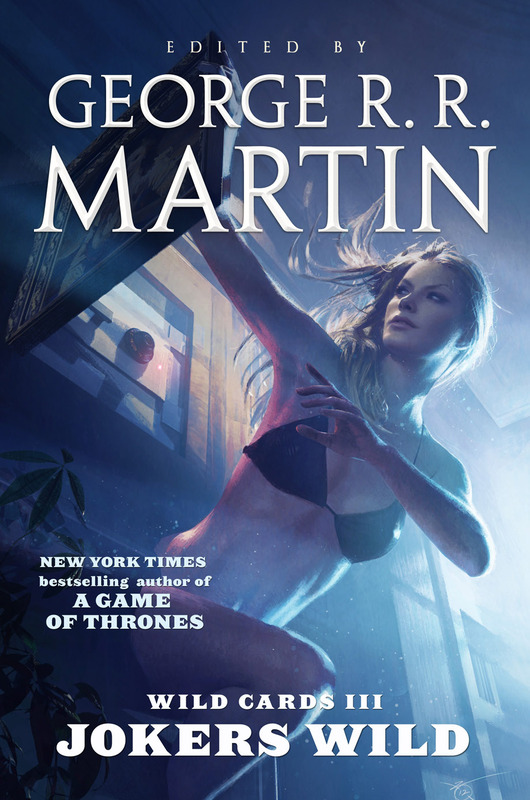 George RR Martin has just informed us of an additional new site recently launched by Tor that features a wealth of all-new material, such as webisodes of the reality TV show, 'American Hero' (as featured in 'Inside Straight'), with confessionals by the characters and new artwork by Mike S. Miller. In addition, readers can contribute their thoughts and questions through the 'comments' function as if it were an actual reality TV show. In other Wild Cards related news, several hundred fans turned up at Page One Books in Albuquerque on February 2 to attend the mass signing and launch party for 'Inside Straight', with seven of the nine contributors on hand to sign their books. Editor Patrick Nielsen-Hayden and agent Kay McCauley flew out from New York City for the launch, and McCauley hosted a reception for the Wild Cards writers past and present and some of her other New Mexico clients after the event. From L to R: Carrie Vaughn, Daniel Abraham, Caroline Spector, George R.R. Martin, Melinda M. Snodgrass, John Jos. Miller, and Ian Tregillis. (Missing were Michael Cassutt and S.L. Farrell). So go and buy it, y'hear? Or even here. We'll post our review of it when we get around to reading the darn thing and then getting the time to write it up (day jobs keep intruding) but until then, check out what the Fantasy Book Critic has to say about it. A recent bulletin at Newsarama gives hope to all fans of the missing-in-action anti-hero and fan favourite, The Sleeper. Alongside some preview pages and covers to the upcoming 6-issue comic mini-series, Wild Cards: The Hard Call (due for release this April), comes the news that Croyd has a major role in the storyline when he's forced to hunt for a Jokertown killer after being framed for murder. With the release of the new instalment only weeks away, Tor Books have gone live with their official Wild Cards site at www.wildcardsbooks.com. It's still at the beginning stages but will be added to regularly over the coming weeks and months. There's already plenty of good stuff to see, though, such as author biogs, cover art and author Q&A's. Visitors also get the chance to sign up for their regular email newsletter which will notify fans of additions to the site as well as links to some hidden pages in 'The Lost Archives'. If you haven't already visited Pat's Fantasy Hotlist for the Wild Cards draw mentioned below, the new nine-way Q&A with the whole INSIDE STRAIGHT crew should surely tempt you. George RR Martin has kindly informed us of several items relevant to the upcoming INSIDE STRAIGHT volume. The first couple of reviews from Publisher's Weekly and Fantasy Book Spot are in - so check 'em out. There's also a new interview with George at SFF World that covers the new book and the Wild Cards revival in general. As if that wasn't enough, at Pat's Fantasy Hotlist there are two advanced reading copies of INSIDE STRAIGHT up for grabs, signed by all nine authors, to the winners of their latest draw. George also adds that, "We're on the home stretch with the second of the new books, BUSTED FLUSH." Green Ronin have been granted a license to begin publishing new Wild Cards titles in 2008 as part of their popular Mutants & Masterminds RPG. The first of these books, the Wild Cards Campaign Setting, an overview of the universe and its history, will be written by John Jos. Miller and is scheduled to debut next August at Gen Con Indy 2008. See George RR Martin's site for full details. Michael Komarck's impressive cover for 'Inside Straight' (depicting Lohengrin) has been officially released - click on the thumbnail to view a bigger version. 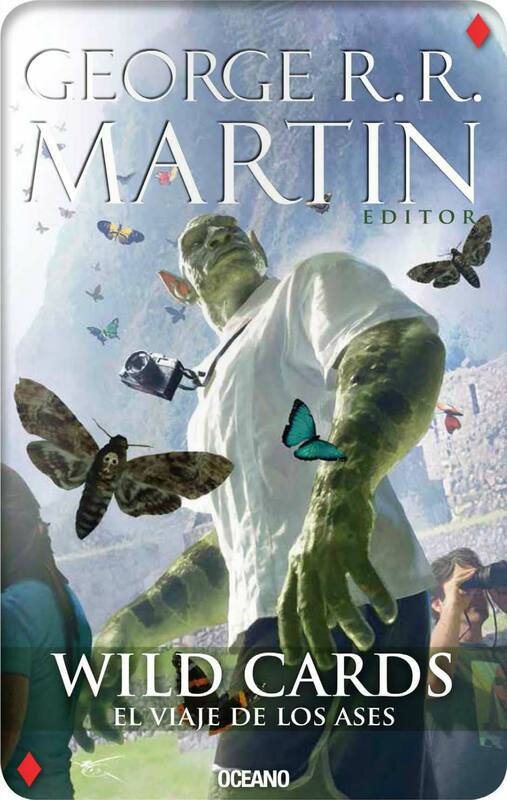 Those wishing for an opportunity to own a glossy, poster-sized version of the cover will need to attend the San Diego Comicon (July 26-29), where visitors to the Tor booth can enter a special raffle to win one of six copies autographed by George RR Martin, Melinda Snodgrass, John Jos. Miller, Daniel Abraham, Ian Tregillis, and Carrie Vaughn. Wild Cards authors Carrie Vaughn and Kevin Andrew Murphy will also be in attendance at the con. Bit of a long wait for those of us who were hoping for a book sometime this year, but hey, that's publishing. Thanks to George for sending this tidbit our way. Thanks to George R.R. 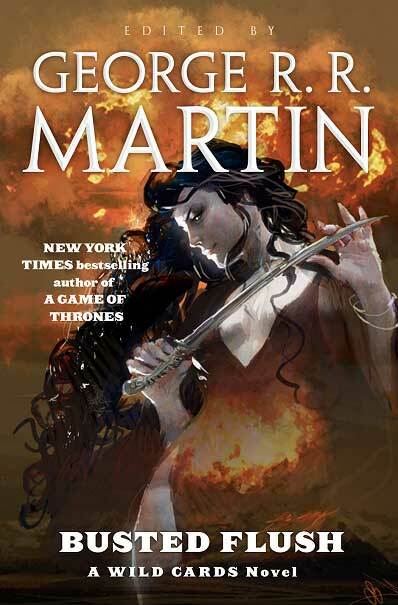 Martin and Iain Cupples of Westeros (The Song of Ice and Fire Domain), we have just learnt of a deal for a new Wild Cards comic book that was announced at the New York Comicon. Marvel Comics and Dabel Brothers Productions (publishers of George's recent HEDGE KNIGHT graphic novel) are banding together with writer, Daniel Abraham to produce a six issue mini-series - later to be collected in a graphic novel format. Unlike the previous Epic Wild Cards series, it will be an all-new story with a mix of old and new characters. If successful, more Wild Cards comics may follow with contributions from other writers in the consortium. The full announcement can be read on Daniel's blog. To bring in the new year, George R.R. Martin has delivered the completed INSIDE STRAIGHT manuscript to Tor. The writers are now working on the next volume, BUSTED FLUSH. The full chapter listing can be found on George's site. And ayone who wants to know who the mysterious S.L. Farrell is might want to check out our creators page. George R.R, Martin has recently updated us with the following news: "The new Wild Cards book, INSIDE STRAIGHT, is coming together nicely. The writers are working on their final drafts now (several already in), and I'm hopeful that I will be able to deliver the book to Tor by the end of the year." WILD CARDS TO RETURN IN 2007 - FACT! Finally, the news that loyal readers have been waiting for is now official. Contracts have been signed with Tor Books for a new trilogy of Wild Cards novels (informally known as 'The Committee Triad') with the first volume aimed for a release early next year, and subsequent volumes to follow in 2008 and 2009. Following the precedent set by previous books, the titles are once again card game related: Inside Straight, Busted Flush, and Suicide Kings. As John J. Miller hinted at earlier, the new series will focus primarily on the next generation of Wildcarders with the tagline, "It's 2007. Do you know where your children are?" 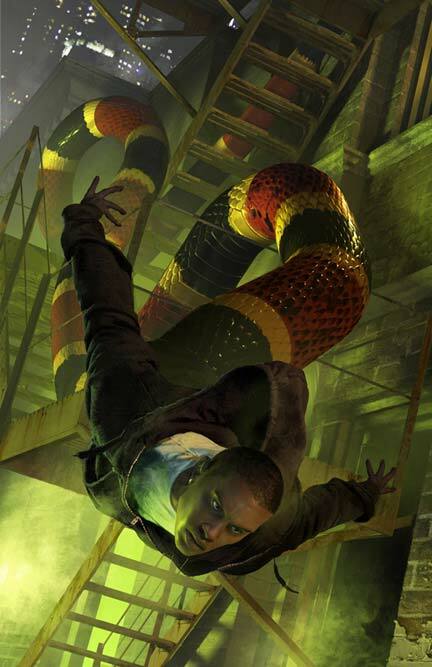 The first promotional artwork for the series (by Mike S. Miller) provides a taster of ten of the new characters. Behind the scenes, many of the old gang will be back including Walter Jon Williams, John J. Miller, Michael Cassutt, Walton (Bud) Simons, Stephen Leigh and Kevin Andrew Murphy. They'll also be joined by Daniel Abraham, Christopher Rowe, Caroline Spector, Ian Tregillis and Carrie Vaughn. The George R.R. Martin and Melinda M. Snodgrass editing team remains intact and we can only hope that they too will be contributing new stories. The full announcement can be found on George R.R. 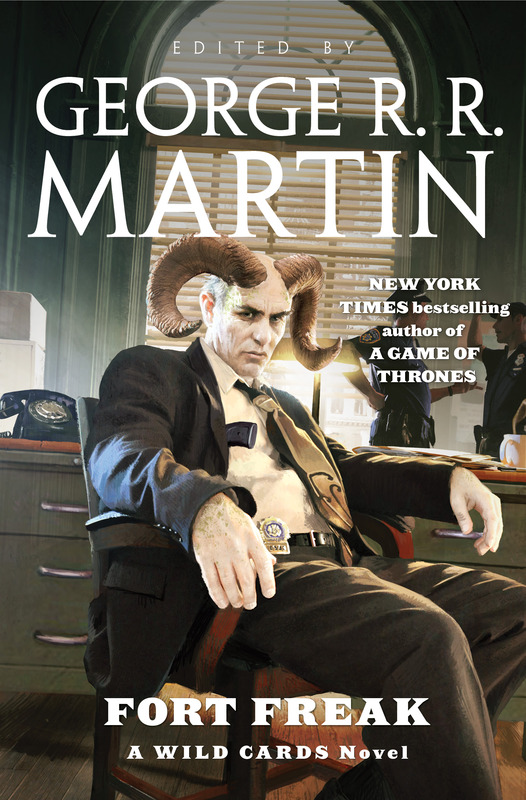 Martin's website, as well as the names of the characters in the above illustration. With ibooks filing for bankruptcy last month, the proposal for the new Wild cards triad is doing the rounds at other publishers, with Bantam getting first refusal. On his website, in addition to kindly plugging this site, George R.R. Martin says interest is strong, and he goes on, "It may take a few months, but we are going to find a new home, and the writers of the Wild Cards Consortium (both old and new) have already begun planning the next three books... Hell, we're just getting warmed up... so look for a major series rebirth in the near future." Adds Death Draws Five author, John J. Miller, "We really are going to the Next Generation, if you will, of Wild Cards, with some new authors and a ton of new characters." So things are looking up for the series. Let's keep our fingers crossed. NEW WILD CARDS NOVEL NOW ON SALE! The 17th Wild Cards novel, DEATH DRAWS FIVE, written solely by John J. Miller has been released in hardcover by iBooks. At 300 pages, the book features (among others) Carnifex, Fortunato and his son John Fortune, Mr Nobody, Midnight Angel and John Nighthawk. Buy it here. According to John J. Miller it is possible more may follow, "George is working on the proposal as we speak." The 'Committee Triad' would involve a group of Aces deciding that things would be better with Wild Cards running things instead of nats.